(Newser) – President Trump has been crowing over the past few weeks about the "best" and "greatest" economy "in the history of our country," as well as the "hottest jobs market on planet Earth," but the nation's top financial officers are less optimistic. 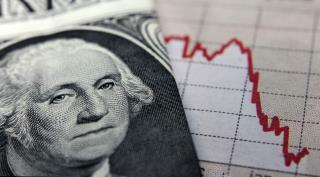 Almost half of them predict the US will be hit with a recession by the end of 2019, while more than four-fifths think that economic downturn will come by the end of 2020, per a Duke University/CFO Global Business Outlook survey cited in the Wall Street Journal. "All of the ingredients are in place" for such a decline, the director of the survey notes, including a "waning expansion" that started almost 10 years ago, an uptick in market volatility, and the "ominous flattening of the yield curve," which has been an accurate recession predictor for the past half-century. So they're saying a person that ran 6 businesses into bankruptcy did the same to the country he's supposedly running??? ?